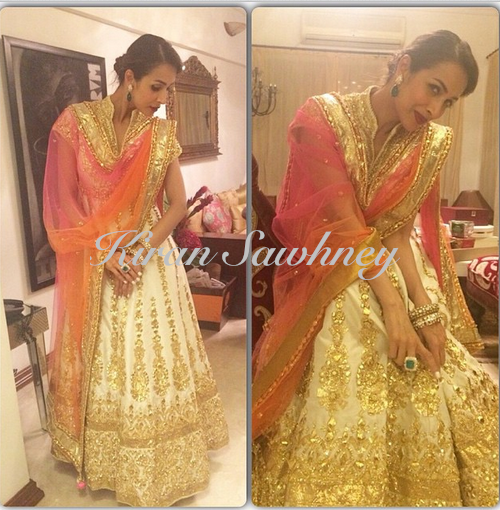 Malaika wore a beautiful ensemble by Preeti S Kapoor. She teamed it with earrings and ring from Farah Khan Ali and cuff from Gehna jewelers. She wore Jimmy Choo shoes. Low bun and red lips finished her look. She looked pretty.